NICE is changing how America solves social problems. We envision a dynamic networking and educational environment comprised of citizen innovators and seasoned nonprofit founders who, together, replicate proven nonprofit models to speed help to the needy and disadvantaged across America. The mission of the National Institute for Civic Enterprise (NICE) is to engage and connect successful human service nonprofit founders with those who are seeking to launch new causes. 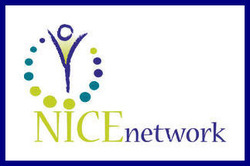 NICE’s primary goal is to expose new founders to proven replicatable models and programs in order to speed up help to the needy and disadvantaged. We accomplish this through a state-of-the-art web-based and social media platform, NICENetwork.org. This platform chronicles the knowledge of seasoned founders; houses an emergent knowledge base of forums, leadership webinars, videos, and networking venues; fosters pairings of new founders with successful ones; and offers training from nonprofit leaders, consultants, and educational organizations. NICE spotlights and awards one new founder and one mentoring nonprofit founder with its annual "NICE Award". This award recognizes a nonprofit in operation less than five years for successfully replicating a proven human services nonprofit model in a new location. Founders - NICE staff, with the help of individual founders, chronicles their knowledge and makes it available to new and seasoned founders and other nonprofit professionals when appropriate. Nonprofit Visibility - NICE brings greater visibility to successful causes. In doing so, the goal is to advance successful causes for replication so as to reduce redundancy in the nonprofit community. Educating nonprofit professionals - through the information gleaned from proven models, NICE trains future and current nonprofit professionals to help fill the void of nonprofit professionals leaving the industry.